Attorney Rebecca Woodworth Brodie grew up in Framingham, Massachusetts. She is a graduate of Massachusetts Bay Community College, the University of Massachusetts at Amherst, and Suffolk University Law School. Attorney Brodie began her legal career at the employment law firm of Attardo and Miller. Later she joined a well established North Shore law firm advocating for victims of traumatic accidents. Afterwards, Attorney Brodie represented hospitals, going up against some of the biggest insurance companies in the state. Ms. Brodie is an experienced ESL teacher and a former advocate at several legal aid agencies including Hale and Dorr Legal Services, Legal Assistance Corporation of Central Massachusetts, Suffolk Legal Services, and The Massachusetts Justice Project. Additionally, Attorney Brodie has developed several community programs such as the Framingham Family Advocacy Program, which represents the women of MCI Framingham, and the New Attorney Mentoring Program. Attorney Brodie is a former member of the Massachusetts Bar Association's Committee on Access to Justice and the Board of Directors of the Massachusetts Women's Bar Association. Attorney Brodie's goal is to make quality legal representation available to everyone! Attorney Brodie is a Lecturer in Law at the University of Massachusetts Law School (﻿here﻿) and an instructor of legal and paralegal studies at Middlesex Community College (here). Attorney Andrew Brodie grew up in Belmont, Massachusetts. He is a graduate of the Belmont Hill School, the University of Massachusetts, and Suffolk University Law School. Mr. Brodie began his legal career working in a Suffolk County Probation office. Soon thereafter, Attorney Brodie took a position with the Suffolk County District Attorney’s Office in West Roxbury. While there, Attorney Brodie represented the Commonwealth in criminal proceedings. Later, Attorney Brodie joined the law firm of Jason & Fischer (﻿here﻿) where continues to represented criminal defendants, clients who had been injured in accidents, and clients whose civil rights had been violated. 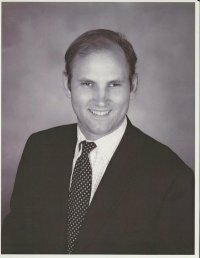 Attorney Andrew Brodie is a highly skilled litigator and the author of several legal articles.